One arm of the philanthropic efforts of Dundee’s Boxing & Fitness is to provide ‘Fitness Ministry’ to churches throughout Brisbane. As well as having extensive experience and qualification in boxing, health and fitness, Dundee Kim, the Managing Director of our gym, has a Diploma of Ministry at the Australian College of Ministries (ACOM). This has helped him become a better leader. His passion for helping others has also created a strong, positive and supportive culture in the gym. Through fitness ministry, Dundee is providing 12-week fitness challenges to church pastors to help them improve their health, fitness and leadership abilities. He can also help improve the health, fitness and overall confidence of church attendees. Looking for fitness ministry in your church? 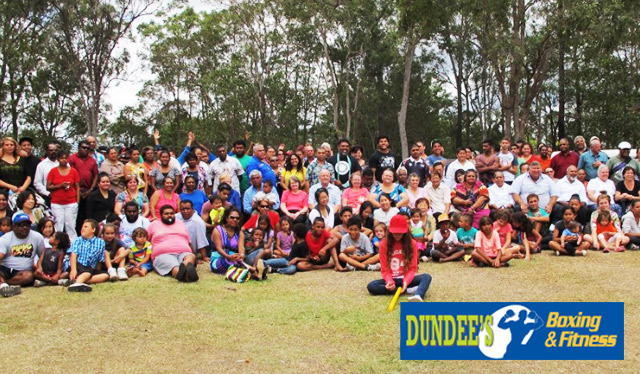 At the moment, Dundee is providing fitness ministry to Logan City Aboriginal Church (view our video where he helps the children improve their boxing!). He has also helped his pastor from his own church, the Sunnybank District Baptist Church, lose 32kg after a 12-week challenge. If you’re a church looking for fitness exercises from some of the world’s best trainers out there, contact our gym in Brisbane today for a free consultation!